The largest crowd ever at Royal-Memorial Stadium witnessed Sunday’s season opener between Texas and Notre Dame. The school announced a record crowd of 102,315, which broke the previous record by nearly 1,000 fans. 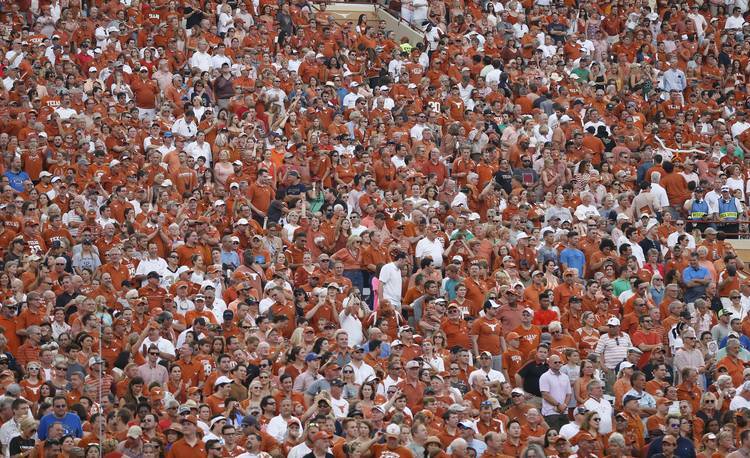 You can read about the top five crowds in DKR history — prior to Sunday — right here. A school-record 102,315 here at the DKR. Texas crowd is a school record 102,315. That gives Longhorns top attendance of the weekend in the state.